253 years (Hartford Courant), 205 years (New Haven Register), 166 years (Dispatch-Argus), 149 years (Sedalia Democrat), 130 years (Hearst), 130 years (Eau Claire Press Company), 127 years (Lee Enterprises),127 years (Ogden Media), 80 years (Calkins Media) …. In the beleaguered newspaper business, the acquisition activity in June for regional and community newspapers was robust, you might even say it was booming. Seven separate transactions were announced in the newspaper segment, each with multiple titles being sold, as compared to the five transactions that we recorded in the segment for the entire five previous months. (I’m excluding the offer for the Chicago Sun-Times announced in May by Tronc, owner of the Chicago Tribune. The Sun-Times is a major metro newspaper, in a different category than the recently sold papers. In any event, that deal appears to be in jeopardy from either an anti-trust objection or Gannett’s recent bid to acquire Tronc). There is a sea change going on in the business of publishing local and regional newspapers. Once the domain of family owners, local newspapers spawned families that often became the most prominent (and locally powerful) force in a village, town, small city or region. Those local and regional newpapers are increasingly being sold off to one of the select group of large national chains that still believe they can obtain value from a local newspaper’s ability to reach a specific local community with original content, as well as sell advertising to the businesses that want to serve those readers. 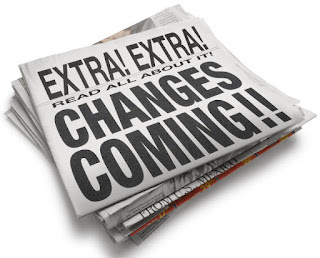 To survive the declining ad revenues and readership, newspapers have reduced page counts, reduced run lengths, reduced the number of days a paper is published, and have even reduced page size. All of this means there are fewer impressions to print on those cranky old newspaper presses co-located downtown with the newsrooms. The reduced press time that is required to print the shorter runs, the skipped publication days, fewer and smaller pages- all are factors that combine with the compelling need to rationalize backroom and overhead expenses. Owners of local papers are seeking buyers that can spread expenses over more publications. Factor in the ability of newer, faster, far more efficient presses to be made ready and run, and the stage has been set to centralize print production in regional, rather than local, printing facilities. There is another bonus for closing small-town newspaper print operations in towns where the downtown is revitalized; that old brick building housing that aged clunker press has more value renovated as condos or offices for the Millennials seeking a downtown lifestyle. Lee Enterprises, a public company based in Davenport, Iowa, and a large national consolidator with 46 daily papers and close to 300 specialty publications, operates across 21 states from Washington State to South Carolina. Close to its home base, Lee acquired the Dispatch-Argus of Moline/Rock Island, which serves the Western Illinois region. The seller was the Small Newspaper Group, a reference to the Small family (and not that the company was comprised of small-town newspapers). The Small family acquired the paper from the Potter family in 1986, who in turn acquired the paper in 1882 from Colonel J.B Danforth who acquired the paper two years after its founding in 1851. 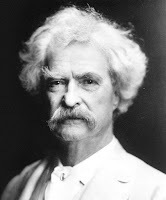 One of the earliest writers for a Lee Enterprise paper was Samuel Langhorne Clemens who wrote travel stories and later became famous as the author Mark Twain. New Media Investment Group (aka Gatehouse Media) now owns 130 dailies, 650 community publications, in 555 local markets, each market with its own website, across 36 states. In mid-June, New Media announced the acquisition of four dailies from family-owned publishing company Calkins Media. The titles sold covered regions in Pennsylvania and southern New Jersey. New Media Investment Group stated that the purchase of the Calkins’ titles fell within its target range for acquired titles, with a purchase price multiple in the range between 3.5 to 4.5 times adjusted EBITDA. Ogden Newspapers acquired the Herald-Standard (Uniontown, PA) and the Greene County Messenger, also from Calkins Media. Small by comparison to the national players, Ogden nonetheless has assembled a portfolio of 40 dailies across the country, as far flung as Hawaii and New Hampshire, plus several weeklies and a magazine division. Headquartered in Wheeling, West Virginia, Ogden is still owned and managed by the Nutting family, descendants of the founder, Herschel Coombs Ogden. The current patriarch of the family, Robert Nutting, is also the principal owner of the Pittsburgh Pirates and likens the reading of the local papers to the bonds experienced by families spending an afternoon at the ballpark. Phillips Media acquired the Sedalia Democrat, a local paper in central Missouri with origins dating back to 1868. Once part of the now bankrupt and defunct Freedom Communications newspaper chain, the Democrat’s most recent owner, and now the seller, was Civitas Media, the newspaper publishing platform formed by private equity fund Versa Capital Management. Hearst Newspapers, a division of privately-owned Hearst Corporation, greatly strengthened its position in the Connecticut market with the acquisition of several titles formerly owned by 21st Century Media Newspapers, a division of Denver-based news media rollup Digital First Media. The crown jewel in the group is the New Haven Register. The Register was founded in 1812, and owned continuously by the Jackson family for most of the 20th century. Having survived a bankruptcy filing, newsroom union decertification and equal rights lawsuits, the paper finally closed its pressroom in 2012 and outsourced its printing to its competitor, the Hartford Courant, which itself predates the American Revolution, tracing its roots back to 1764. After 130 years of family ownership, the owners of the Eau Claire Press Company, in Eau Claire, Wisconsin, decided that a small, independent family media company was no longer viable. The company announced the sale of its daily paper, a weekly agricultural newspaper and other assets to another family-owned, but much larger, company. The buyer, Adams Publishing Group, has been a repeat acquirer of regional and community newspapers, appearing no less than nine times on our deal logs since its formation in 2013, and now publishes 63 community newspapers, plus 18 local shoppers, 20 specialty publications and 81 community websites. There are exceptions to the trend, however. In another purchase of titles from Civitas in June, Champion Media acquired five daily and 17 weekly newspapers. Champion Media is a new entity formed by the former COO of Civitas, Scott Champion, and his son, Corey Champion. Might this be just the beginning of another family-owned regional newspaper empire that could last for generations? Sandy Alexander, the Clifton, New Jersey based commercial printing, grand format and high-end retouching company, announced two acquisitions in June, both in Orlando, Florida. The acquisition of Designers’ Press, a traditional well-rounded sheet-fed printing facility, complements Sandy’s other Florida location, its web offset facility in St. Petersburg. At the opposite end of the strategic spectrum, consistent with its move into the front-end of marketing services with the purchase of the SALT retouching studio in 2013 (see The Target Report – October 2013), Sandy announced its purchase of Dinetec, a data and software-based marketing services provider focused solely on the restaurant industry. The “tuck-in” continues to be the most common transaction structure in the middle to lower end of the commercial printing segment. ArborOakland Group, a diversified commercial printer in Royal Oak, Michigan, acquired and tucked-in the Utley Brothers Printing company, formerly located in nearby Troy, Michigan. Vivid Ink Graphics acquired and absorbed the production of IPC Printing, both companies located in Baton Rouge, Louisiana. Intec Printing & Direct Mail in Naples, Florida has merged with Coastal Printing in Sarasota, Florida. The McClung Companies, a commercial printer in Waynesboro, Virginia, is tucking-in the sales of nearby Charlottesville Press. Worth Higgins & Associates, reportedly the largest sheet-fed printer in Virginia with sales of $27 million in 2016, has acquired the $2 million book-of-business of Stern’s Printing & Engraving. As is often the case with tuck-ins, the acquired company will operate, at least for a while, as a stand-alone division of the acquirer, with production consolidated into the buyer’s facility.